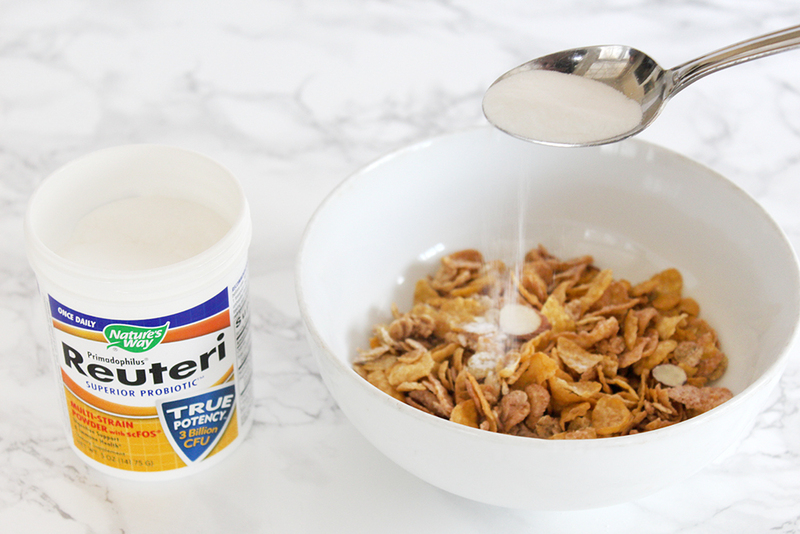 This post is sponsored by iHerb and contains affiliate links. All opinions are my own. I'm geeking out a little bit over iHerb. They carry everything you'll ever need in the way of health, fitness, weight loss, or sports supplements and even healthy snacks. Their Customer Service team also provides support in 10 languages and you can order everything straight from the app to be shipped to your door. Very cool. I'm loving these Nature's Way products. 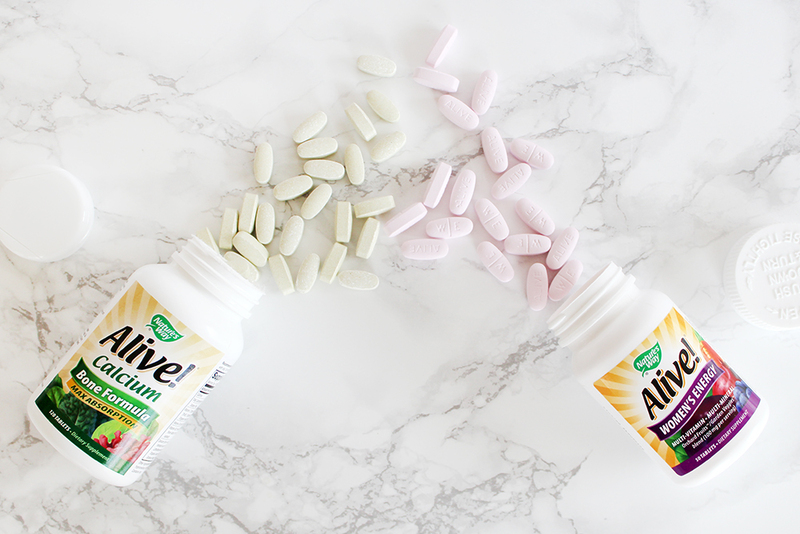 They're the first herbal brand to be both Non-GMO and TRU-ID Certified. TRU-ID is an independent testing program that uses cutting-edge DNA biotechnology to ensure the authenticity of herbal products. They make sure that the herbs listed on the labels actually match what is in the products. Super-important, guys. 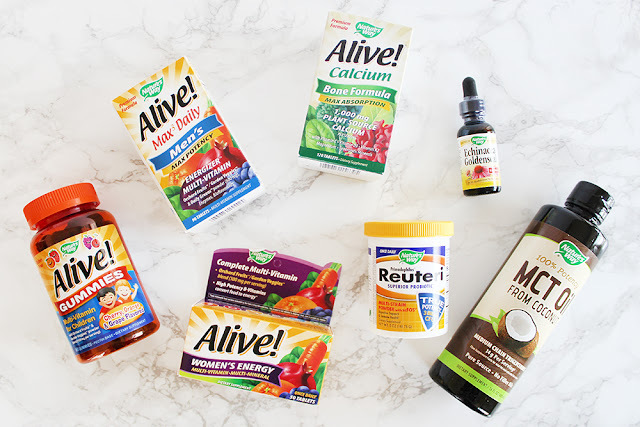 I've ordered Nature's Way off of Amazon previously and loved the quality, but there is so much more choice on iHerb. 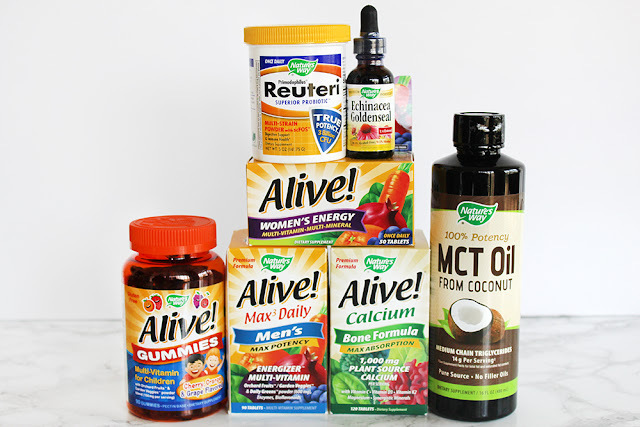 They carry over 400 Nature's Way products that can be shipped to over 160 countries. Let's see what's in my order!!! First, multi-vitamin gummies for my daughter. Nature's Way Alive! 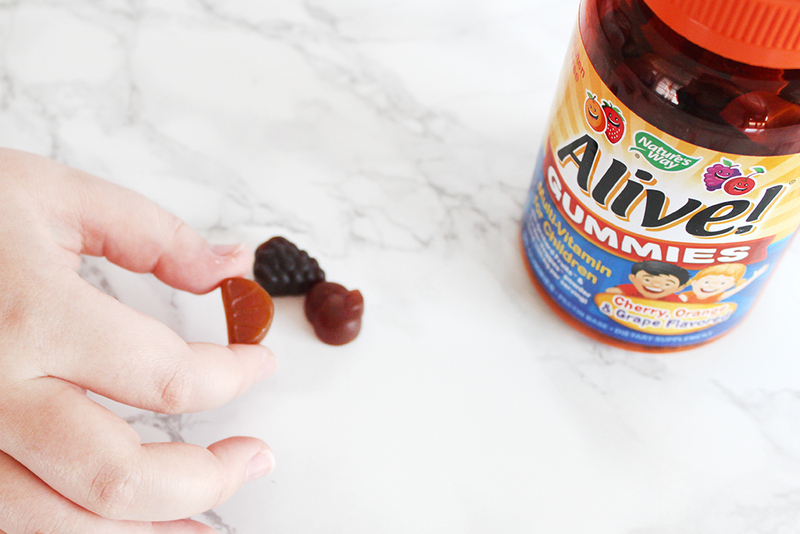 Multi-Vitamin Gummies for Children. Made with 26 fruits and vegetables, it's a natural way to balance their nutrition (or lack thereof on those Mac & Cheese and chicken nugget days.) Check out the ingredients label on these! <3 <3 <3! For the men (or those becoming men *ahem*), Nature's Way Alive! 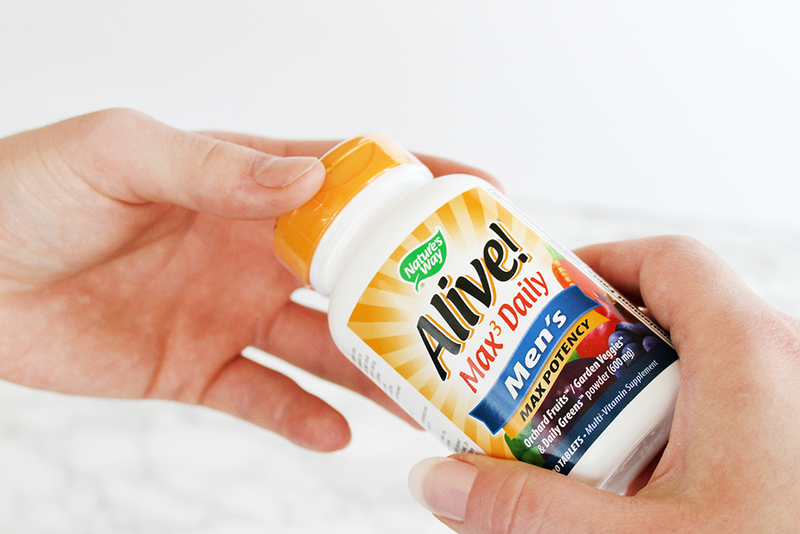 Max3 Daily Men's Max Potency is another fabulous natural herbal fruit and veggie-based multivitamin formulated especially for the nutrition that guys need. The rest of the order is for moi. 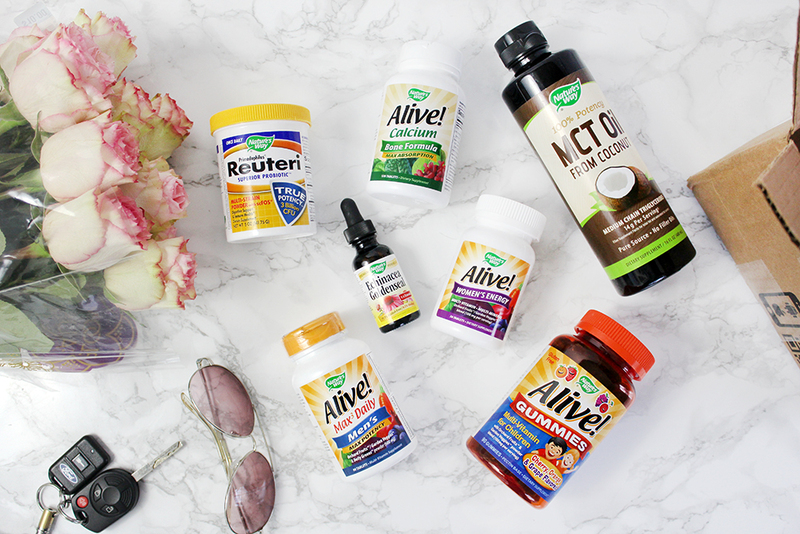 I started with an all-around supplement in Nature's Way Alive! Women's Energy Multivitamin-Multimineral that is formulated with high-potency B-Vitamins to help with my energy levels. FYI, I'm cutting back on coffee this year, so muy important!!! I'm also adding extra calcium to my diet with Nature's Way Alive! Calcium Bone Formula. Ladies, we're more prone to developing osteoporosis as we age, so make sure you're getting in plenty of easy-to-absorb calcium! This one is going to be my go-to all winter. Nature's Way Echinacea Goldenseal is an immune system support formula. 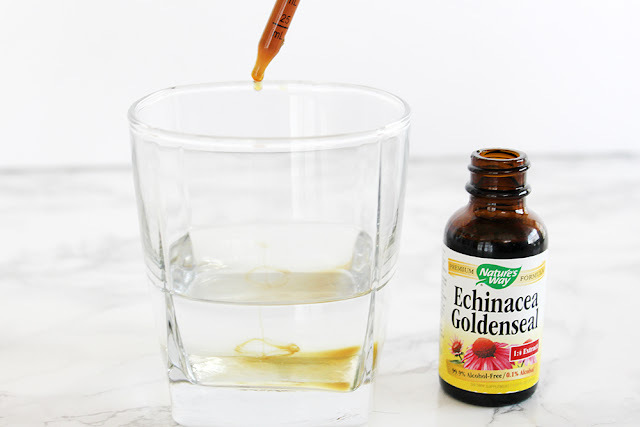 Echinacea can help you avoid illnesses and even reduce and shorten cold symptoms while Goldenseal produces a strong astringent effect on mucous membranes, reduces inflammation and has antiseptic effects. Am I tempting fate by saying "Catch me if you can?" Another supplement I can't do without is a good probiotic. This one is great because you can just sprinkle it on any cold food or drink (probiotics are live bacteria so nothing hot!!!) and go about your day. This one is Nature's Way Primadophilus Reuteri Superior Probiotic. This is one specifically for fitness and weight loss, so I'm excited about starting it. I've been hearing so much about the benefits of MTCs (medium chain triglycerides) especially in regards to metabolism boosting. MCTs are unique fatty acids that are found naturally in coconut and palm oils and are a powerful tool to reduce inflammation, improve metabolism, and enhance cognitive function. 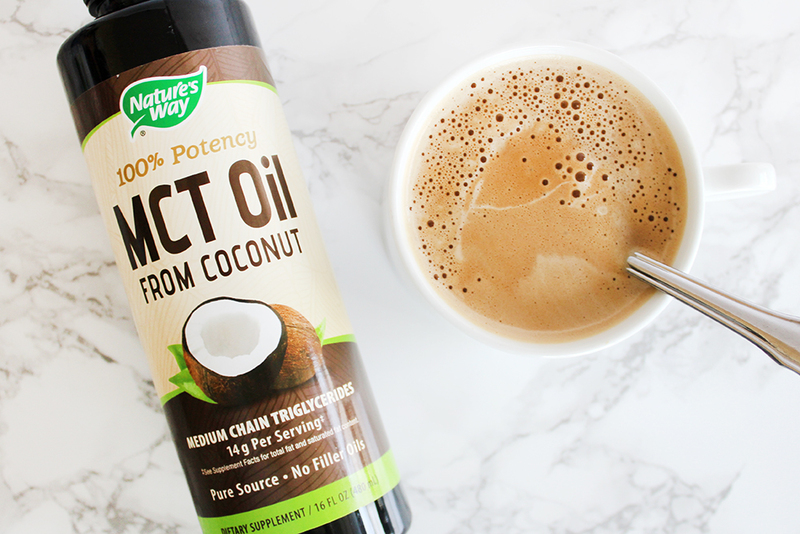 Nature's Way MCT Oil From Coconut is flavorless and odorless and can be mixed in with your morning coffee or a smoothie! 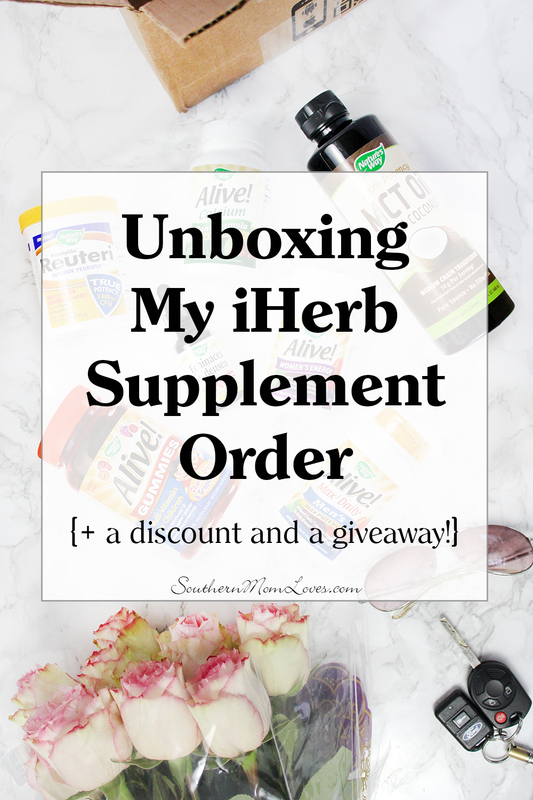 So that's my iHerb order!!! I'm so excited about starting my resolution that I'm not going to wait for the 1st! iHerb has been so kind to provide an exclusive discount just for my readers off of your Nature's Way order by clicking here!!! Giveaway begins on 12/30/17 at 1:00 am CST and ends on 1/20/18 at 11:59 pm CST. Must be 18 years or older, open Worldwide (void where prohibited.) Once winners are confirmed, they will be added to the Winner's List here. What is your biggest resolution for 2018? What supplements would you choose from iHerb? I love to read your comments!